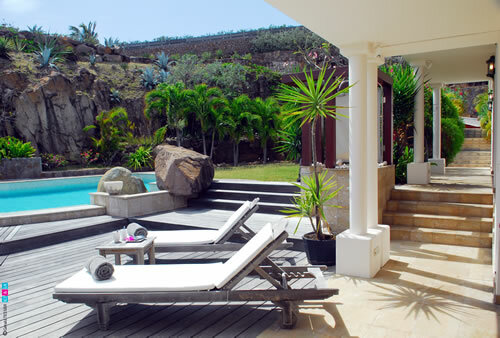 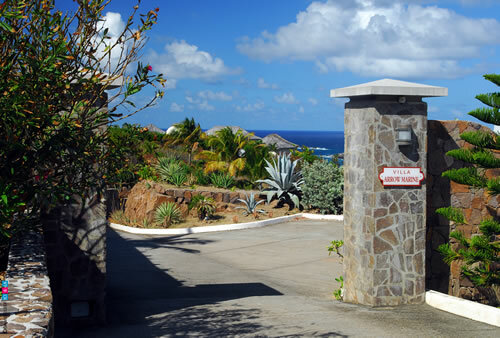 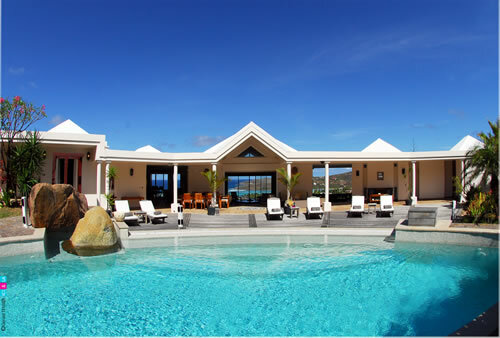 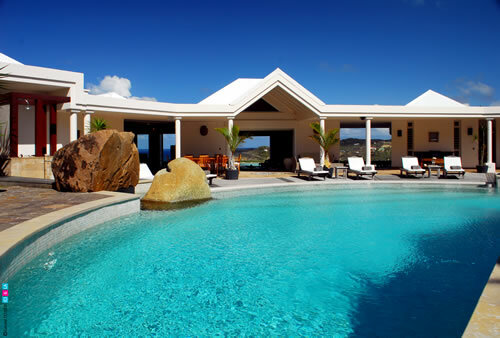 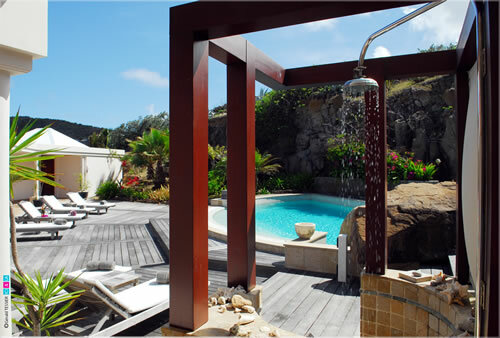 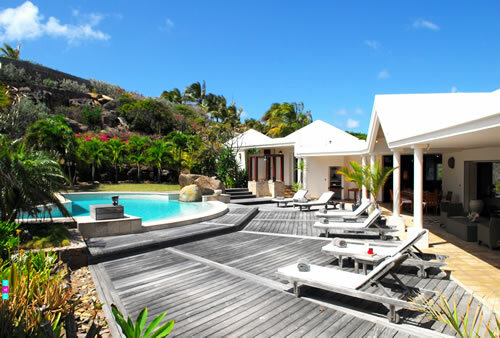 It is located on the greatly prized private estate of Mont Jean, close to Pointe Milou. 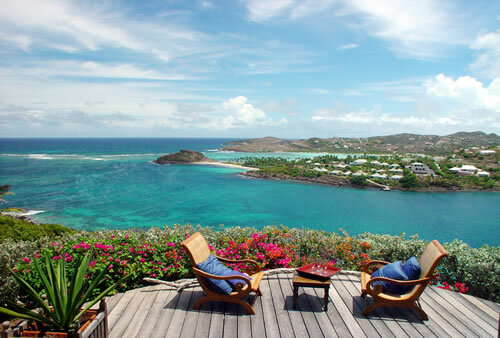 The view of Marigot Bay is extraordinary. 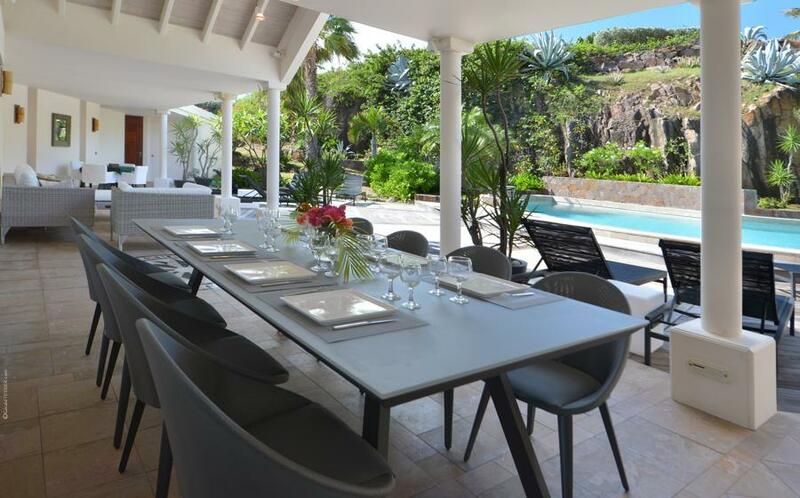 Arrowmarine is a spacious villa in the Caribbean, perfect for a vacation with friends, special events like a birthday, or family holidays. 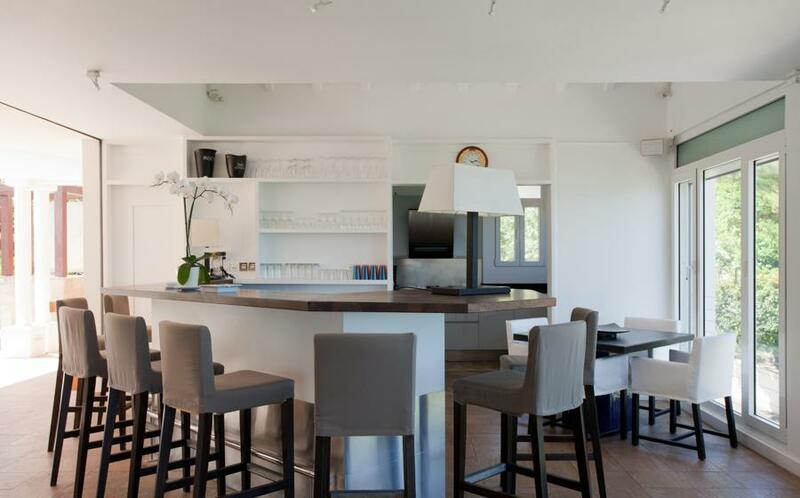 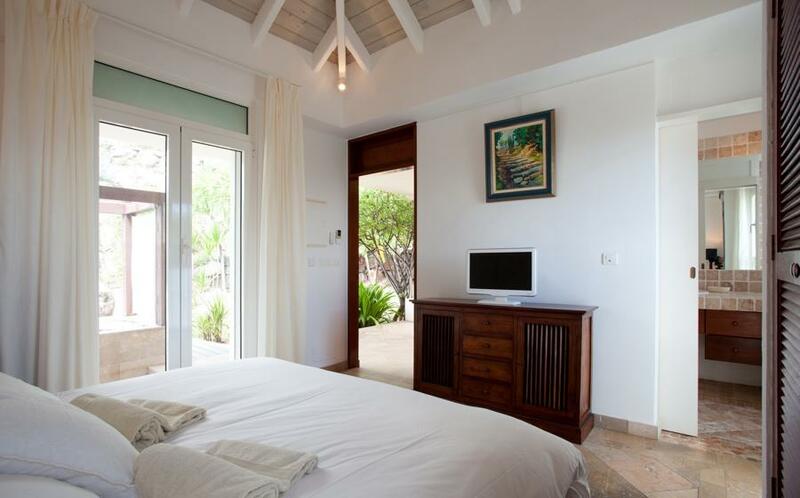 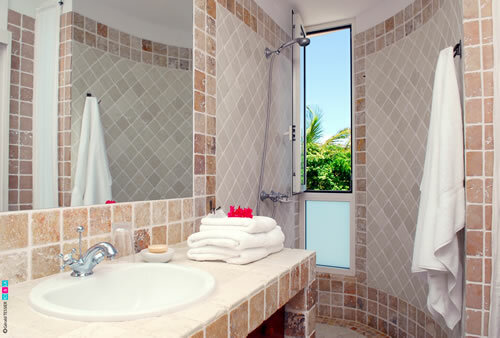 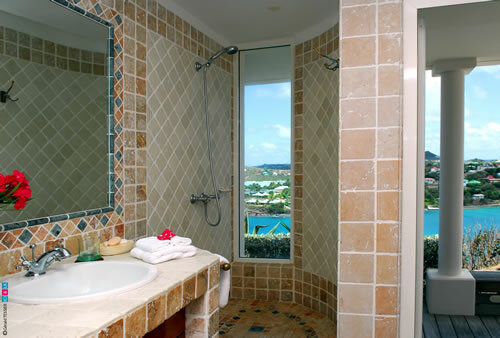 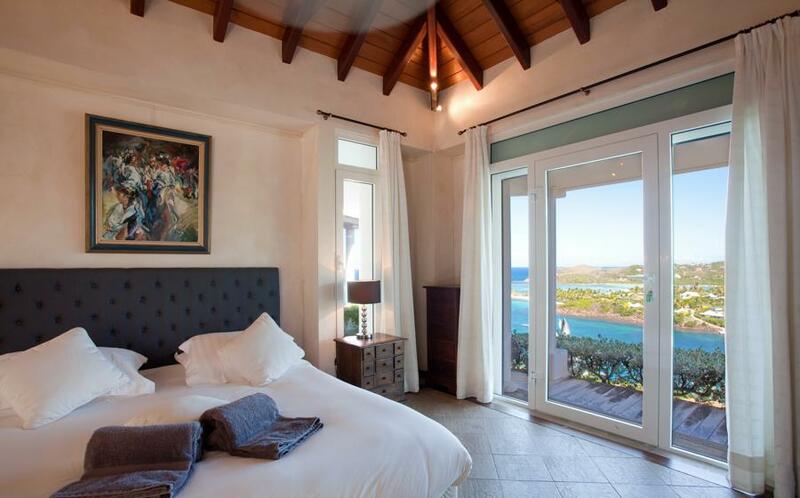 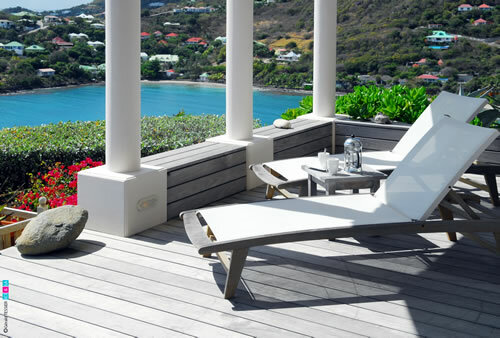 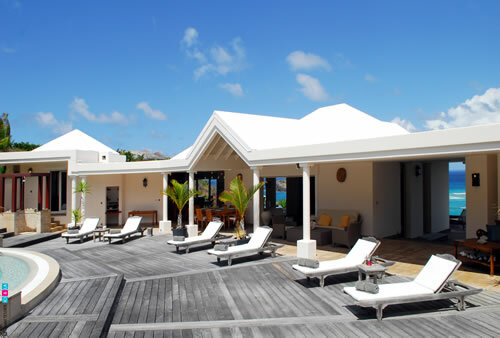 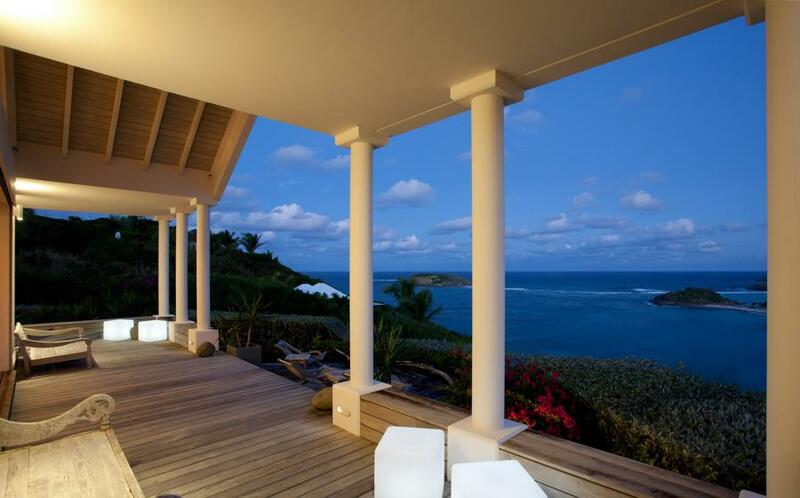 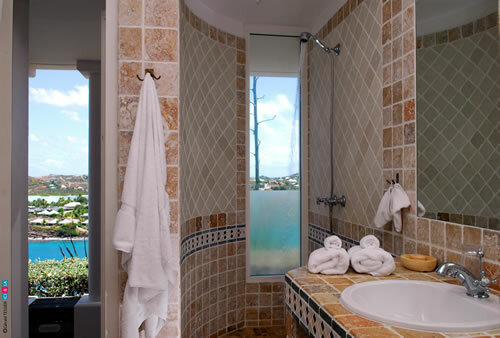 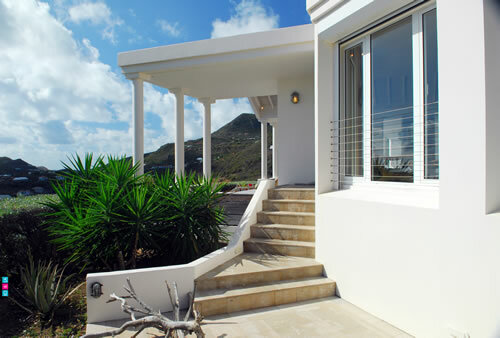 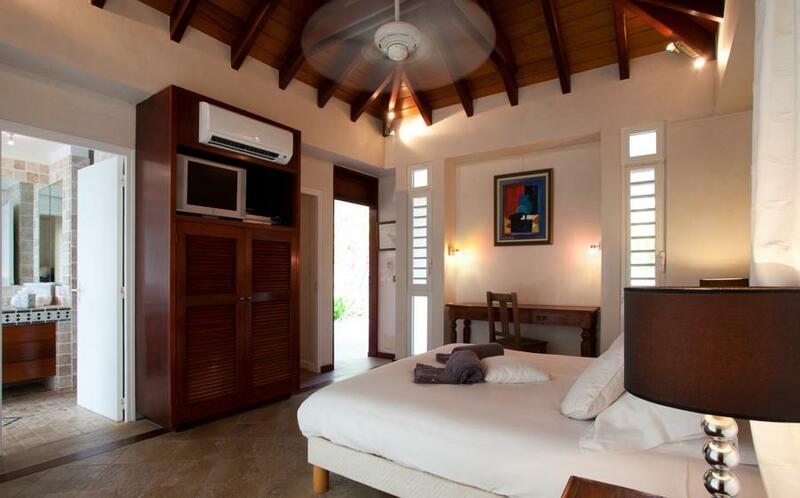 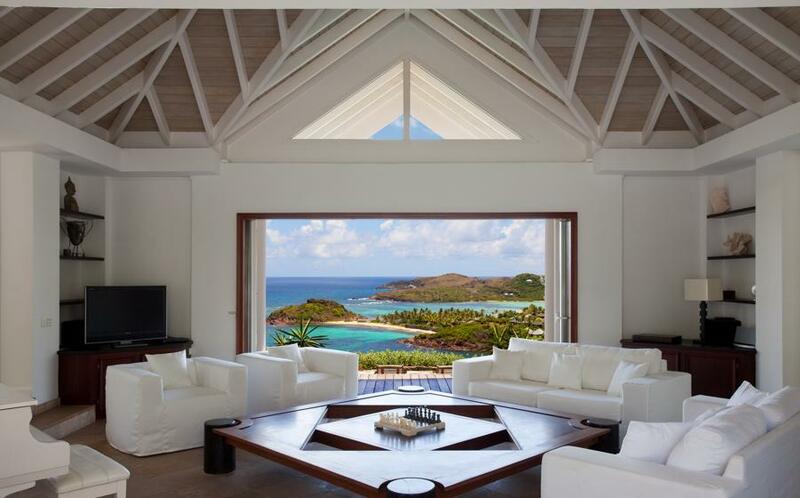 The large living room overlooks Marigot Bay; the private bedrooms are on each side of the living room. 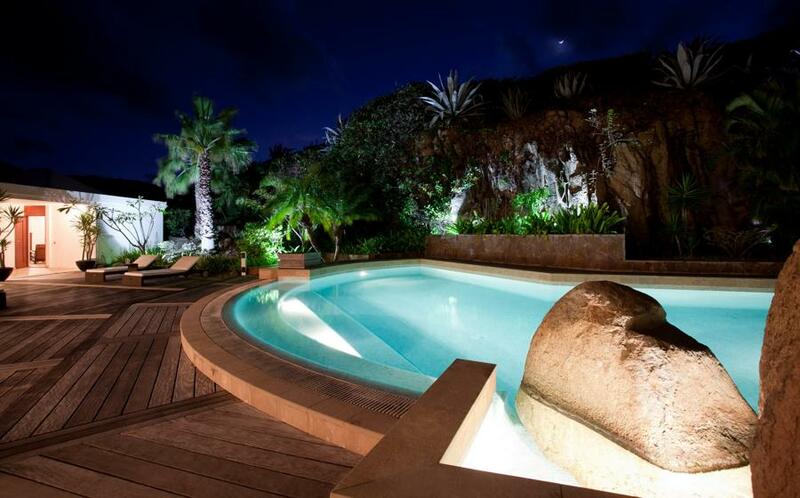 Built against the rocks, the pool is marvellously lighted at night and is surrounded by a huge terrace. 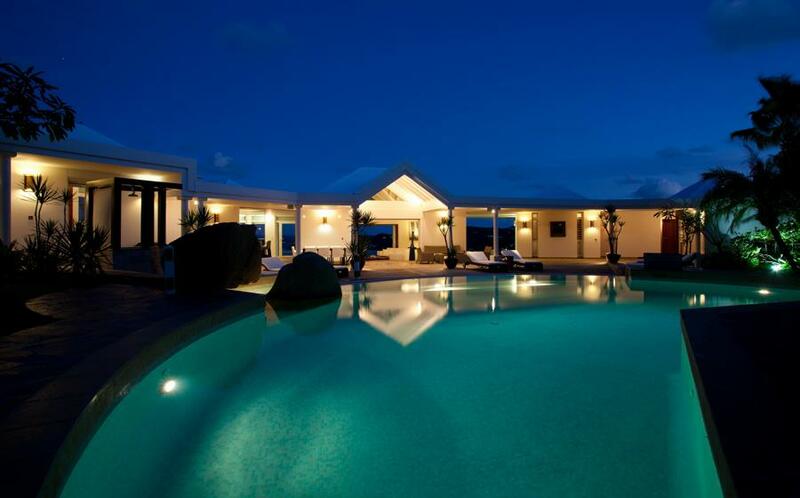 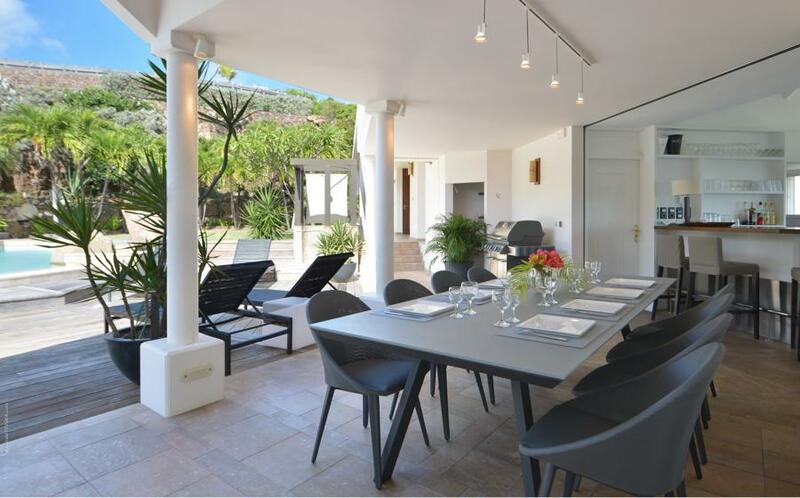 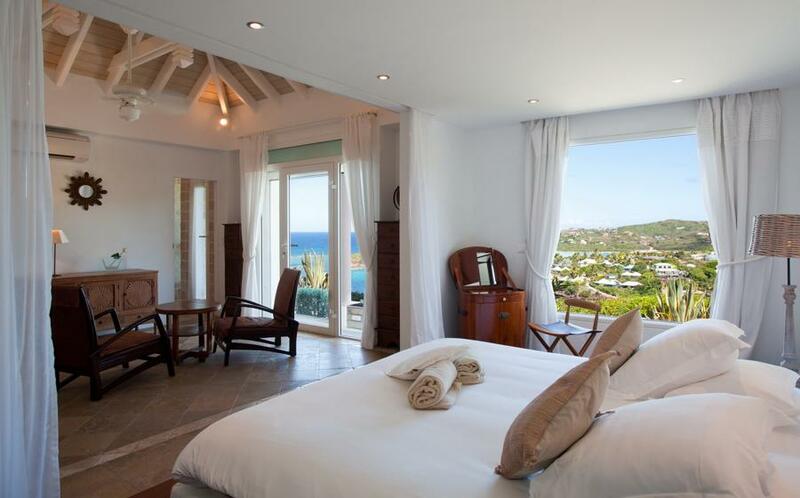 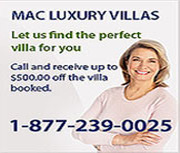 This very comfortable and private villa is featured in lots of decoration magazines. 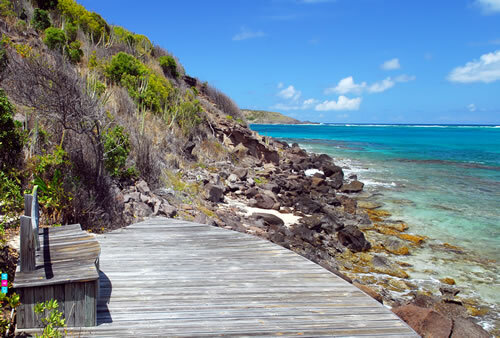 Private steps lead down to a dock and the sea. 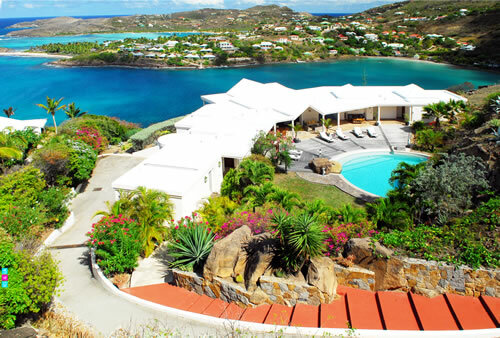 You will be able to swim in the warm turquoise water of the natural reserve and observe a multitude of brightly coloured fish.